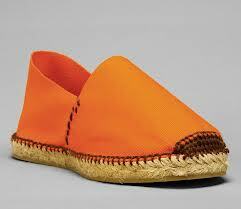 alpargatas, espardenyers, espadrilles, and a German shoemaking manual! What riches! Today I happened upon http://ofdreamsandseams.blogspot.co.at, where I discovered a “sole mate”! That is, a woman who is fascinated by all kinds of techniques for making shoes, and who no doubt finds solutions for shoemaking puzzlements while cogitating between 2 and 3am, as do I.
I like the blogger Katya’s moccasin-making technique; I planned to do something similar in making the “plug” (the part of a moccasin that goes over the top of the foot) with a friend who wants to make shoes for refugees who have wider ankles and feet than can easily fit in U.S. shoes. We will be making bellows tongue boots from How to Make Simple Shoes for Women to hopefully solve the problem. The leg of this style boot can expand or contract according to how tightly the laces are tied. Hopefully these boots will be comfortable for the refugees as well as anyone who has swollen ankles. I was delighted to see how she solved the problems of making espadrille soles – she has created a totally-natural sole that looks substantial and attractive. 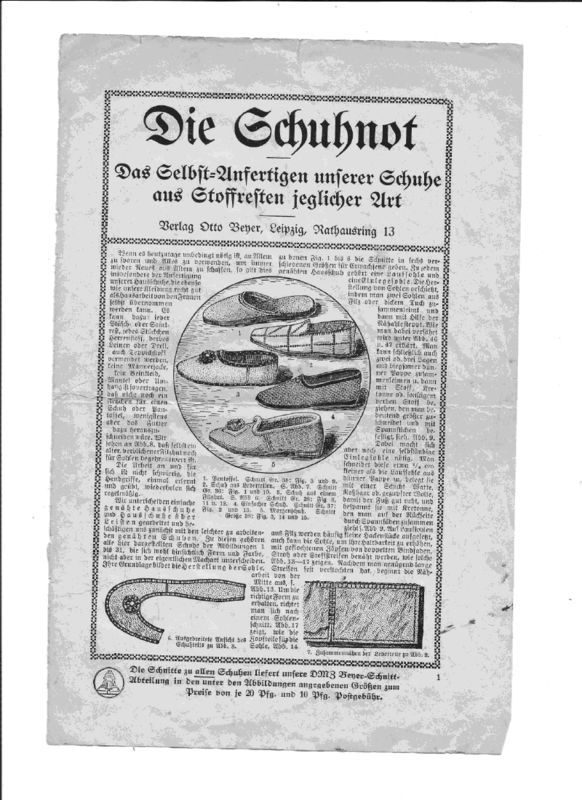 Another great gift of her blog is this German booklet on shoemaking – how wonderful it would be to have it translated! Here’s a traditional espadrille-making video, which I find especially interesting to view in conjunction with viewing Katya’s technique for making the soles ourselves. This url goes to multiple videos about alpargatas; the dearest one is entitled “espardenyers”, with the most charming “thumb piano” music. This is the book to purchase if you love to design footwear – or for someone you love who loves to design footwear. 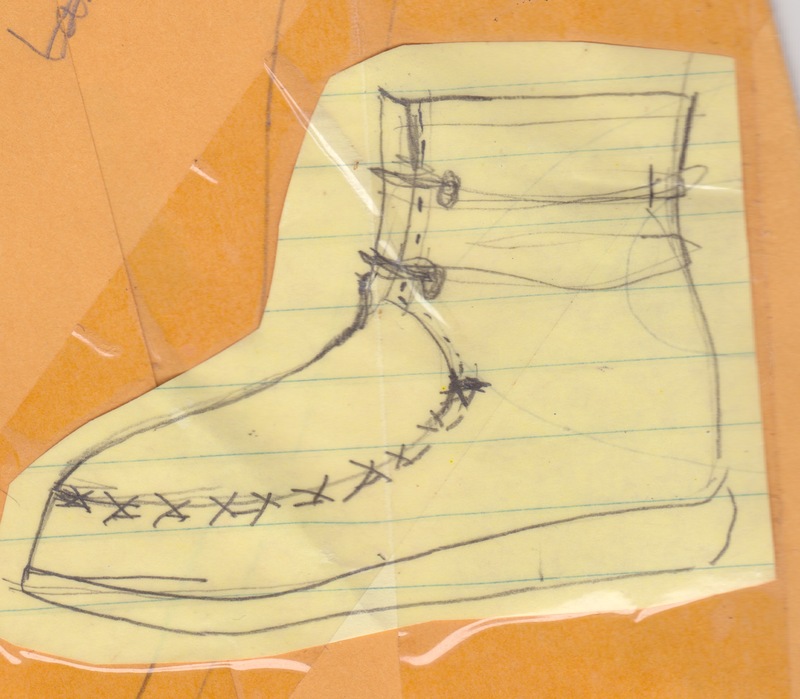 It’s the workbook used when the author teaches Footwear Design at FIT in New York, the London College of Fashion, and Pollimoda in Florence, Italy. But you can purchase it online – amazon has it, and used copies would be fine, I would think. OMG (this is the first time I have used this expression), check out this Finnish designer’s webpage www.akubackstrom.com for photos of more footwear guaranteed to shake up your ideas of how shoes should be. Then design and make some yourself to shake our ideas of how shoes should be and please send photos! If you’re ever in Tasmania….look up Luna. I had the good fortune to have a 3-day individual workshop with Luna perhaps 15 years ago,when she was in New England visiting her brother. I still find patterns with her name on them that I have not tried to make footwear from – but this one that I just came across will be an exception. I am just finishing up my moccasin-making book, and am adding a design in which the “plug” doesn’t curve up when stitched to the vamp, but instead curves inward. I’ll be making a video to let you know what I’m talking about, but just serendipitously came upon this sketch of hers, that shows how great this look can be. Through a mutual friend, I came to know of Brenden, who makes lovely stitch-down shoes that are sold in a craft shop in County Cork. He is perhaps the last shoemaker in Ireland, outside of those who make orthopedic shoes. That’s a pretty sad thought, since I am sure a generation or two ago there was at least one in every village. Perhaps the tide is turning, and local makers will again be sufficiently-valued, so that they will be able to sustain themselves and their families. Brenden sent a few photos to me of his shoemaking process, and once I had the pleasure of asking him questions on the telephone. I modeled the “Irish Field Boot”, also known in Slow Shoes for Women as the low derby boot, after his boots. I have scrutinized these photos, especially because I see some machinery that I do not have and wish that I did. One is an “out-stitching machine” that appears to let him stitch the sole t o the upper very close in around the lasted shoe. The other seems to be a hand-made machine that puts pressure on the newly-adhered-sole, strengthening the bond.